Like the jewels bartered back and forth by the novel’s characters (Gwendolen, the pawnbroker, Daniel, Grandcourt, Lydia), something rare is valuable because it is ontologically unlikely: its ancestrality attests to the value of survival, and its exposure to the risk of extinction folds back on the value. However temporarily coopted by wider trade orbits, the jewels remain an intractable, inassimilable surplus. And so do Deronda’s Jews, always on the brink of an excessive, sacrificial, and sublime self-waste. Even the renegade Baruch Spinoza got “his crust by a quiet handicraft” (472) in lens-grinding before completing his Ethics. The jewels: the Jews: their stamp of rarity. The contention that “receptiveness is a rare . . . power” involves a twofold implication: first, that receptiveness is a power, and second, that receptiveness is rare. Mesmerized by the range of hermeneutic possibility that the concept of sympathy affords, Eliot’s critics have addressed the former implication while neglecting the latter. 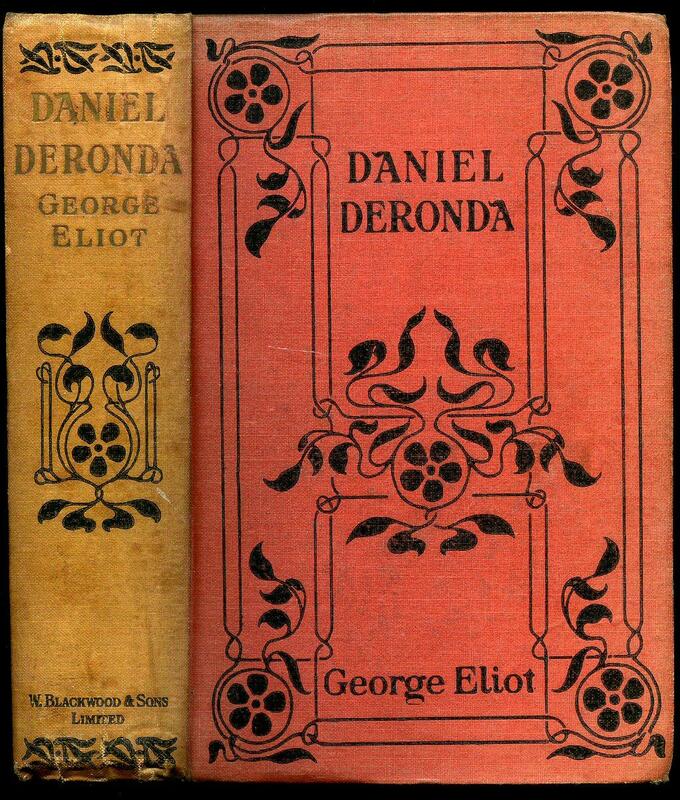 Predictably, then, the response to Daniel Deronda has been spellbound by the shine of a familiar faculty (moral sympathy) that, because in principle unrare in Eliot’s narrative world, seems in little need of special examination. Indeed, the near scientific symmetries of a plot conceivably modeled upon the Goethean allegoresis of elective affinities reinforce the impression that everything in the story depends on moral relatedness. On the one hand we have the English characters, with the rich Grandcourt at the extreme of emotional stolidity. Then comes Gwendolen Harleth, an ungenerous dweller in “the border-territory of rank” (Deronda, 23) who marries Grandcourt to allay social anxiety. This doesn’t prevent her from cultivating an interest in Daniel, the character that occupies the novel’s central position. Daniel enjoys the best of both worlds: groomed impeccably as an English gentleman, he can also boast of “the keenly perceptive sympathetic emotiveness” that, in the novel’s logic, belongs to the Jews. Because, it turns out, he is also a Jew. On the other hand we have Mirah and Mordecai—Deronda’s Jews—which I designate as such to distinguish them from the common, money-minded, shop-keeping Hebrews also present in a novel where, let me recall, “there are Ezras and Ezras” (567). Mordecai is placed at the extreme, in figurative opposition to Grandcourt, whom he never meets. He is a concentrated, unproductive version of Jewish rarity: the passionate man who sacrifices his life to dig up the historical grounds of his people’s moral superiority. Grandcourt and Mordecai are both unrealistic, near Dickensian characters who belong in the world of romance (if not romantic farce): significantly, both die before the tale comes to a close. Between Mordecai and Deronda stands Mirah, Mordecai’s sister, a destitute Jewish girl, in a position of structural equivalence to Gwendolen. Like the English girl, she is saved by Deronda and falls in love with him. Unlike Gwendolen, she becomes the object of Deronda’s favor. The end of the novel describes their wedding and trip to Palestine to start a new life devoted to the construction of the nation of Israel. The value of the central characters (Gwendolen, Daniel) is a measure of their ability to relate to characters standing—or seeming to stand—across the Gentile-Jew divide. Understandably, critics have been less interested in the dynamics of that ability than in the origin and function of Eliot’s sympathy toward the Jews. This sympathy most critics take for granted. I argue, however, that the overdetermined specificity of the cultural-ethnic division dramatized in Deronda forces Eliot to depart from the more generic-universal treatment of moral sympathy at work in her other narratives. And she certainly knows it: “Nothing is here narrated of human nature generally” (Deronda, 91). It forces her to realize, somewhere in her narrative unconscious, that sympathy is a passion not exclusively based on receptivity (the ability to receive the other), since it also depends on the givenness of the other. And her novel, I contend, construes the Jew as a poorly given, if not ungiven, alterity. The reason for Jewish ungivenness is rarity, a quality that stands in direct proportion to receptivity within the group: the higher your receptivity to those of your group (race, nation), the less chance you have of being received—even by the people inside the group whom you are most willing to receive. The “unpleasant” grabbing of Deronda’s arm, an action performed twice, first by the white-bearded Joseph Kalonymos in the Frankfort synagogue (368) and second by the consumptive Mordecai in the secondhand bookshop (387), testifies to the dilemma of ethnical-cultural asynchronicity and moral interruption that my article sets out to explore. The fact that rarity is bound up thematically and rhetorically with the parallel notions of ancestrality and extinction calls for biological considerations that Eliot may have discovered, as I will argue, in Charles Darwin. But insofar as these notions (ancestrality and extinction) map out a deep time without human time, Eliot’s depiction of Jewish rarity in Deronda raises the kind of metaphysical challenge that Immanuel Kant aimed to meet in his first Critique: What is the ontological status of nonhuman time? And what kind of epistemic (narrative, rhetorical) processing does it demand? My attention to the rhetorical effects of this thematic focus on rarity may result in a corrective to standard accounts of George Eliot’s philo-Semitism. Although this is not the primary goal of my article, I do not disown it as a hermeneutic corollary. The fact that readers with a stake in Eliot’s philo-Semitism unfailingly overlook the existence of deconstructive approaches to the novel shows that disregard for the novel’s complex rhetorical texture can foster belief in versions of Eliot as a utopian ideologue, a champion of either proto-Zionism or cosmopolitanism. My interpretation, by contrast, draws on extant deconstructive and rhetorically focused readings of Daniel Deronda by critics such as Cynthia Chase, Catherine Gallagher, and Ian Duncan and yet seeks to reach beyond them by putting into play the metaphysical question of time that instigates the rhetorical-narrative processing of temporality. There are patterns of continuité discontinu (Derrida) in the figural transactions between human groups and between humans and animals in George Eliot’sDaniel Deronda that remain underexamined. By emphasizing ironic incommensurability and difference, this essay seeks to reveal the logic of ungivenness organizing human interactions in a novel haunted by images of deep time and species extermination. Eliot’s interest in ancestrality and extinction was fueled by her readings in geology and biology (Darwin), but it also evinces a metaphysical concern with uncorrelated time (Kant) that is inseparable from her fascination with the idea of moral rarity. JULIÁN JIMÉNEZ HEFFERNAN is Professor of English and Comparative Literature at the University of Córdoba, Spain. He is the co-editor (with Paula Martín Salván and Gerardo Rodríguez Salas) of the volume Community in Twentieth-Century Fiction and publishes on Victorian literature, modern fiction, narrative theory, and deconstruction. This entry was posted in Essays, Uncategorized and tagged Daniel Deronda, Darwin, Deep Time, George Eliot, Novel, Victorian Novel by Reps Admin. Bookmark the permalink.